Watch the sun rise over the water from the comfort of this large and luxurious apartment. Head out to one of the many cafes and restaurants that line the beachfront for a leisurely brunch and come home to this relaxed and modern apartment after a days activities of beach walking, swimming and surfing on the famous Dee Why Point (or simply admire the courageous surfers from the headland). Finish your glorious day watching the moon rise over the water and let it bath you in peace and serenity. Jan loves to travel and explore new places. Her favourite aspect of traveing is meeting new friends and trying cuisines from around the world. Returning home she is constantly reminded how blessed she is to live in such a beautiful city and a spectacular suburb with the smell of the ocean to welcome her home. The apartment is attached to Jan's family home. Jan loves to spend her spare time doing yoga, running, swimming and meeting local friends for coffee, dinner or just a beer all nearby and easily accessible. The smell of the ocean, the closeness to the beach and the array of Dee Why restaurants that are all just a walk away make this place a special spot in Sydney. The apartment is close to the beach yet once inside the apartment it is a quiet retreat. With sun-lit bright interiors, high ceiling and a spacious open living area it is an easy place to relax and enjoy. Amazing spacious apartment, so close to the beach! Fantastic apartment in a great location. 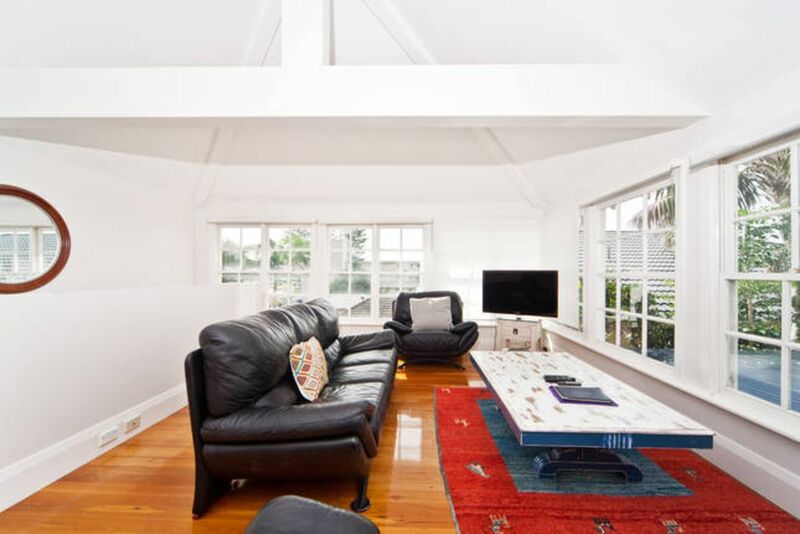 Perfect size for our large family with easy access to the beach, cafes and public transport. Very clean and well furnished. The only downside was sharing one bathroom between 6 and car parking during the day. Otherwise would highly recommend this beachside apartment to families of all ages. Great apartment in a great location, walking distance to everything. Clean and tidy, well equipped. Only downfall were the mattresses were very hard and uncomfortable. Would be fantastic to have a balcony or outdoor area. We had two weeks in this lovely apartment and could not have asked for a nicer place or location. Very close to the beach and outdoor swimming pool at Dee Why and 5 mins walk from a range of lovely restaurants and handy for the bus into Manley from where you can get the ferry to Sydney. About 15 mins walk to the supermarket. The apartment itself was bright, clean and spacious with comfortable beds, a nice bathroom and a very well equipped kitchen. The living room has lovely big windows with a partial view of the ocean and you can go to sleep at night listening to the sea, the apartment itself is quiet and peaceful. There are internal stairs up to the apartment. The owners live in the other part of the house and were there if needed for anything but left us to our own devices so we felt like the apartment was very private. All in all a lovely place to spend two weeks in a beautiful location. My family and I enjoyed a lovely holiday in this apartment. Plenty of room for our family of 4 adults and 2 children. Very well equipped and clean with lovely views of the sea and 2 minutes from beach .